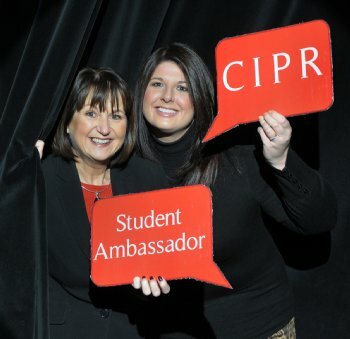 The University of Ulster and the Chartered Institute of Public Relations (CIPR) have joined forces to launch a ‘Student Ambassador Initiative’ (SAI) targeting communications students. The new initiative aims to support the development of future PR practitioners by providing a unique insight into Northern Ireland’s PR sector including hands-on work experience within CIPR NI committee member organisations. The Student Ambassador will represent the University of Ulster School of Communication student sector on the CIPR NI committee and raise the profile of matters facing young communicators. Launching the initiative, Gillian Shields, chairman, CIPR Northern Ireland committee, said: “We are pleased to work in partnership with the University of Ulster to deliver this initiative and nurture upcoming talent within the industry. This will be an exciting opportunity for one outstanding student to help shape the direction and focus of CIPR Northern Ireland. “The communications industry is highly competitive and we want to provide insight and guidance for young communicators that will develop their skills, provide a platform to network with PR professionals and boost their employment prospects on leaving university. “The Student Ambassador will be an excellent communicator, passionate about PR and show outstanding potential to reach the top of the profession. We are calling on students who believe they can make a valuable contribution to the PR industry to apply for this position,” said Gillian. For further information visit www.cipr.co.uk/ni and click the Northern Ireland section. Deadline for student applications is Friday 21st December 2012. · CIPR is the professional body for the UK public relations industry, providing PR training and events, PR news and research. · CIPR Northern Ireland has around 250 members from students and junior professionals to the most senior practitioners. CIPR Northern Ireland committee members include public & private sector in-house, agency and charitable sector PR professionals. · The CIPR Northern Ireland Student Ambassador will be selected in January 2013 and hold the position for one year.